Cancer. One disease that every person on this planet is most scared about. For centuries, the medical and research disciplines are doing all they can to prevent and cure cancers. Pharmaceutical companies have developed vaccines, antibodies, drugs, and also gene-level therapies to fight the beast. Most approaches remain unsuccessful for various reasons. But every controversial approach has its share of benefits too. Vitamin B17 a.k.a Laetrile is one of those controversial anticancer drugs that took the market by storm in the 1950s. Good or bad – the FDA and global markets are left to decide, and it is not considered acceptable by this organization. There are some potential as well as adverse effects of vitamin B17. Want to know more? Go ahead and read on! 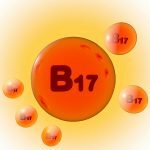 Is Vitamin B17 Really A Vitamin? What Are The Natural Sources Of Amygdalin? How Do You Consume Amygdalin-Rich Foods? How Could Amygdalin Or Laetrile-Rich Foods Benefit You? Or Can They? Also called laetrile, vitamin B17 is a semi-synthetic derivative of amygdalin. Amygdalin (mandelonitrile beta-D-gentiobioside) is a chemical constituent of many fruits and numerous plants. Its synthetic version, laetrile, was first used as a cancer treatment in Russia in 1845. It was introduced in the United States in the 1920s. Laetrile stirred a huge controversy when US researchers found hydrogen cyanide to be the principal anticancer compound formed in laetrile. Eventually, laetrile use was banned for any cancer treatment in the US (1). Why am I not using the word vitamin B17? (You must have observed that by now.) Scroll down to know why! No, it is not! 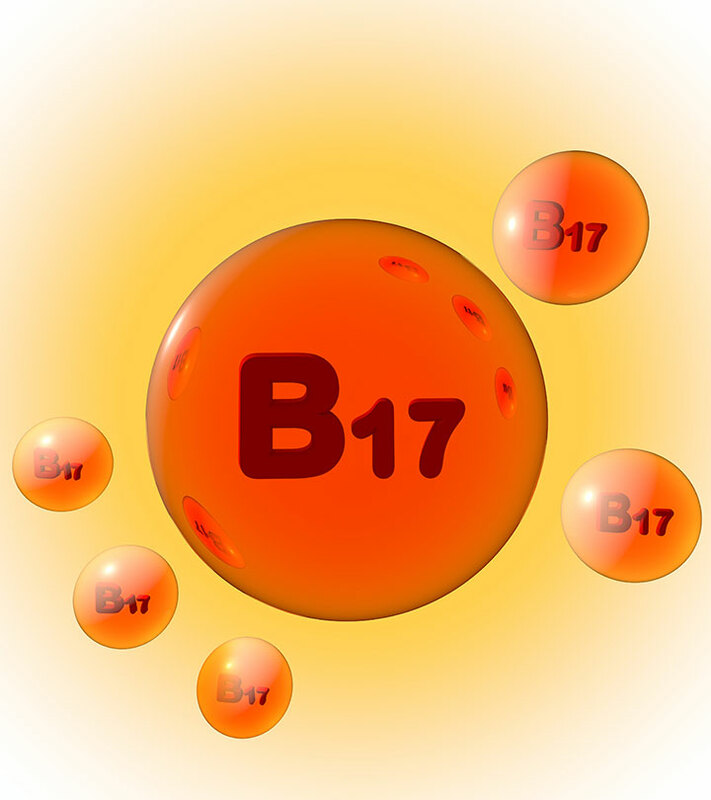 In fact, there is no such element called vitamin B17. Laetrile gained popularity in the 1970s as an anticancer agent. It was then termed ‘vitamin B 17’ by E.T. Krebs Jr. as a sales strategy. But it is not an approved designation by the Committee on Nomenclature of the American Institute of Nutrition. The chemical composition of U.S.-patented laetrile, a semi-synthetic derivative of amygdalin, is different from the laetrile/amygdalin produced in Mexico (mandelonitrile beta-D-gentiobioside), which is made from crushed apricot pits. Although the names laetrile, vitamin B 17, and amygdalin are often used interchangeably, they are not the same product. Amygdalin is a naturally occurring compound (cyanogenic glucoside) found in the pits of many fruits, nuts, and seeds; particularly in the plant families of Rosaceae, genus Prunus, Fabaceae, and Poaceae. Common sources of natural amygdalin are apricots, peaches, bitter almonds, flaxseeds, and millet. These plants have the enzymes (called emulsin) required to break down amygdalin into benzaldehyde, glucose, and hydrocyanic acid. The enzymatic breakdown of amygdalin yields these products as a defense mechanism to the plants. Hence, amygdalin and its enzyme machinery are stored in the stony outer shells and seeds of the fruits and nuts. Compartmentalization of the toxic by-products will ensure the safety or viability of the fruit while killing the pest or pathogen. Sounds creepy! To find out where amygdalin occurs in nature, continue reading. Take a look at the list of foods from Rosaceae and non- Rosaceae families, and processed foods along with their amygdalin content in mg/g. I hope this compilation helps you choose the right dietary components. What if one of the amygdalin-rich foods is your favorite? Or what if you are advised to consume such foods for some reason? Scroll down. You can have cyanogenic plants in different ways; some are often consumed without their seeds (apples, pears, apricots, berries, etc.). Some are usually consumed with their seeds (courgettes, cucumbers, almonds). Despite the controversy and fatal chemical composition, most of us eat these foods. That is due to the potential benefits they may have for your body. Take a look. Can Amygdalin Or Laetrile-Rich Foods Benefit You? How? One of the biggest controversies in the Western world happened due to the use of laetrile to cure cancer. Laetrile is the semi-synthetic variant of amygdalin. When administered to cancer patients, the cellular enzymes in the body broke down amygdalin to release hydrogen cyanide and benzaldehyde. According to hypothesis, the hydrogen cyanide would selectively kill the cancer cells while the patient stayed unharmed. On the contrary, though the patients were cured (temporarily) of cancer, they later died of cyanide poisoning and related complications. Hence the controversy and the ban on laetrile and amygdalin (4). Laetrile is an acronym for ‘laevorotatory and mandelonitrile.’Oral amygdalin is estimated to be 40 times more potent than its intravenous form due to its enzymatic conversion to hydrogen cyanide in the GI tract. 1–2 mg/kg is a fatal oral dose of cyanide for a person weighing 154 lbs (70 kg). It is illegal to use laetrile for treating cancer or any disorders. The US FDA has not approved of its usage in the United States. So, what can cyanide poisoning do? Does it have any signs? What are the risks associated with laetrile or amygdalin-rich foods? Here are some answers. The benefit-to-risk ratio for laetrile or amygdalin is negative. Undoubtedly, looking at the side effects, it is lethal to take this so-called vitamin B17 and amygdalin. If someone announces a new anticancer vitamin pill or a fancy chemo-free treatment, do not sign up. Double check the terminology used. Beware of misnomers as in the case of laetrile and vitamin B17. When battling cancer, above strength and courage, what you’d need is awareness. You deserve the best of the treatments available, but not without your consent. If a physician prescribes a dozen pills, ask them what each one does. Read about every medicine, its side effects, recommended dosage, etc., on FDA web pages, reputed forums, or even books. Be alert and aware of what’s going into your body. Lastly, reduce the intake of amygdalin-rich foods, stay away from any pills in that come with the name of vitamin B17 or laetrile, make an informed decision at each step, and put up a tough fight. You can do it! If this article blew your mind, gave you insights and strength you were seeking for, give us your feedback by commenting in the box below. 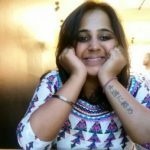 We’d love to listen to your success stories too. Feel free to share your experiences and suggestions with us.